Although thatched roofs of Mayan tradition of construction have been replaced by concrete construction firm, the island still retains its inhabitants innocence, honesty and willingness service that has always characterized the Mayan culture. The brief information gathered from historical documents, does not compare to the vast collection of traces left by former residents as evidence of the importance of ”The Island of the Swallows” as a maritime trading port, before the arrival of the Spanish conquers who chose it as a key place and where they had opportunity to enjoy the most beautiful sunsets. Warm with his guests since the cradle of sea turtles, flamingos, raccoons and coatis, Cozumel was also home to famous pirates around the seventeenth century, and suddenly deserted for unknown reasons, it cultivated during this desolation years a peculiar feeling today can be harvested by every visitor of this little piece of land surrounded by turquoise waters. 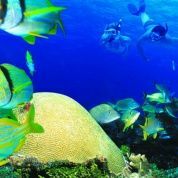 In 1960 Jacques Cousteau revealed the richness of the coral reefs surrounding the island, which caused enthusiasm for the submarines to learn of the existence of Cozumel. The diving and the docks of Cozumel Island help the Island for international recognition and have placed it among the top worldwide ports in terms of arrival of cruise ships and is the first tourist destination of such crafts in Mexico. 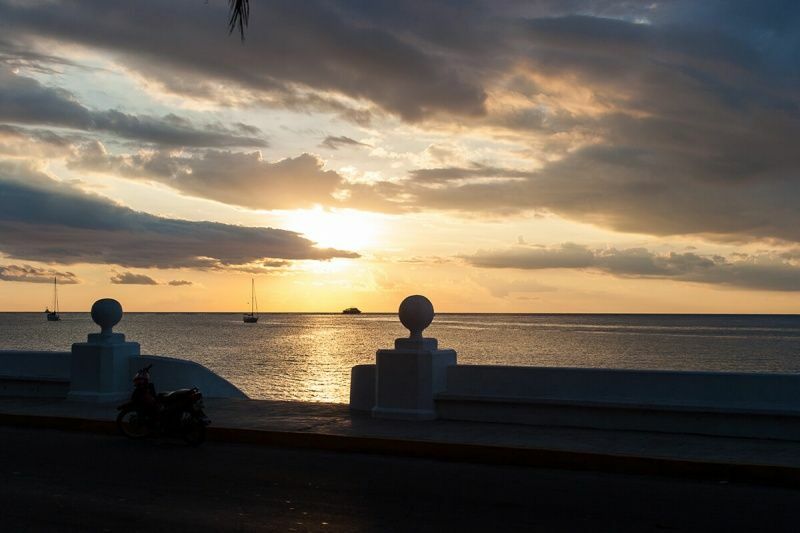 Cozumel is the third largest island in Mexico and second most populated of the country. It is located southeast of Mexico, in the Caribbean Sea, about fifty miles from Cancun and is (along with continental enclaves Calica and Xel-Ha), one of the ten municipalities of the state of Quintana Roo. 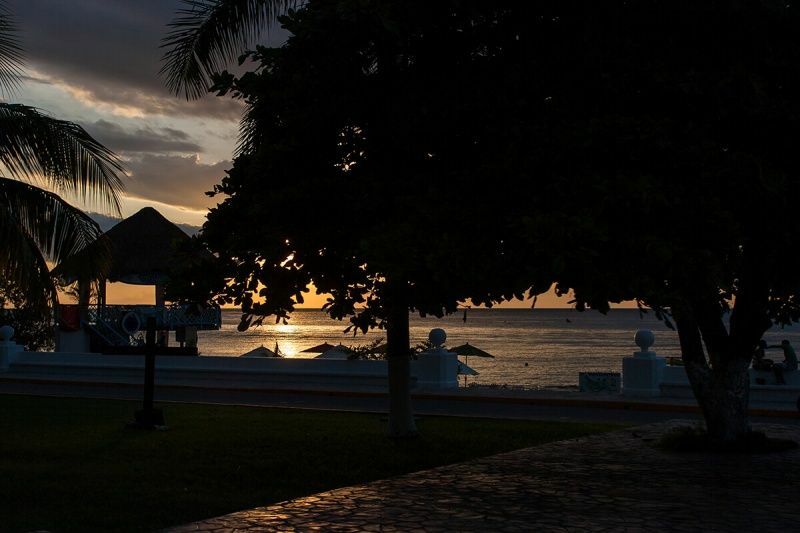 All along the island coast you may find white sand beaches and turquoise sea of great beauty. There are hotel areas like Playa Norte and the South Zone and has several resorts scattered along the coast. Located south of town, is a body of water connected by an underground tunnel to the sea where it can be seen as a natural aquarium with fauna and flora. Around the lagoon is a botanical garden with vegetation representative of the region and on the coast is approximately 100 meters. There are some ruins that make up the most important Mayan complex place. There are six public buildings that are connected by Mayan walkways. These ruins were public buildings, houses, temples ….Not surprisingly, in the Mayan times, Cozumel was an important place of pilgrimage, Ixchel home (godess of fertility), beliefs that lasted until the Spanish arrived to the Island. Located on Avenida Rafael Melgar and Calle 6 Norte, on the Malecon. It is an interactive museum that has four rooms that disclos a variety of historical and ecological aspects of the fauna and flora of the region, the development of Mayan culture and now a day traditions. Located at Calle 2 Norte s / n. It houses an important collection of pre-Hispanic and mestizos musical instruments, and some from around the world. Its facilities include a music library and bibliographic on the same subject. Open daily from 10:00 to 18:00 hrs. Located in the Parque Natural Chankanaab, 9 km from San Miguel. 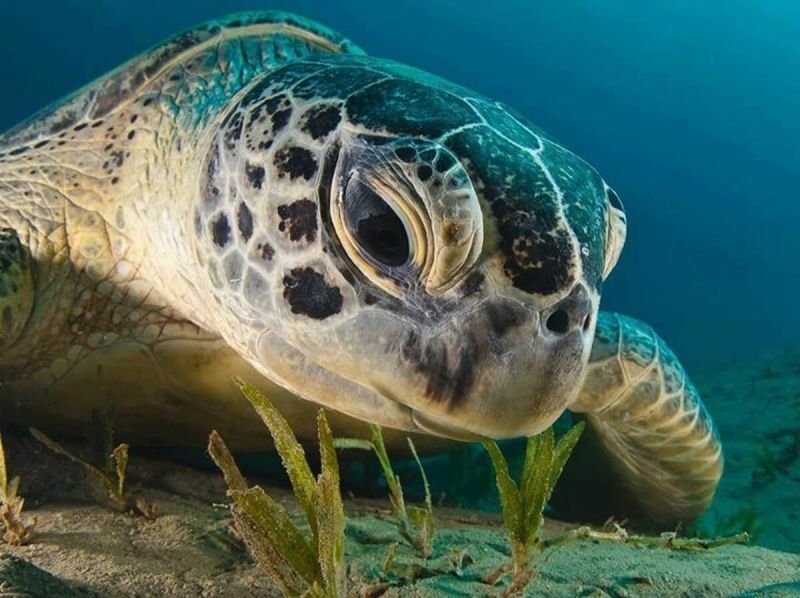 It has an exhibition of photographs of the underwater beauty of the island, including diving-related objects and a collection of shells of different shapes and sizes. It is located on the southern coast of the island, 30 km from the town of San Miguel. It has pristine beaches ideal for enjoying the wonderful landscapes that identify the Maya forest, wetlands, mangroves and dunes. Here you can see the archaeological ruins of El Caracol, an ancient Mayan temple and a building that probably functioned as an observatory from which the ancient inhabitants of the island could predict the arrival of hurricanes and storms. It is one of the greatest natural treasures in Cozumel. 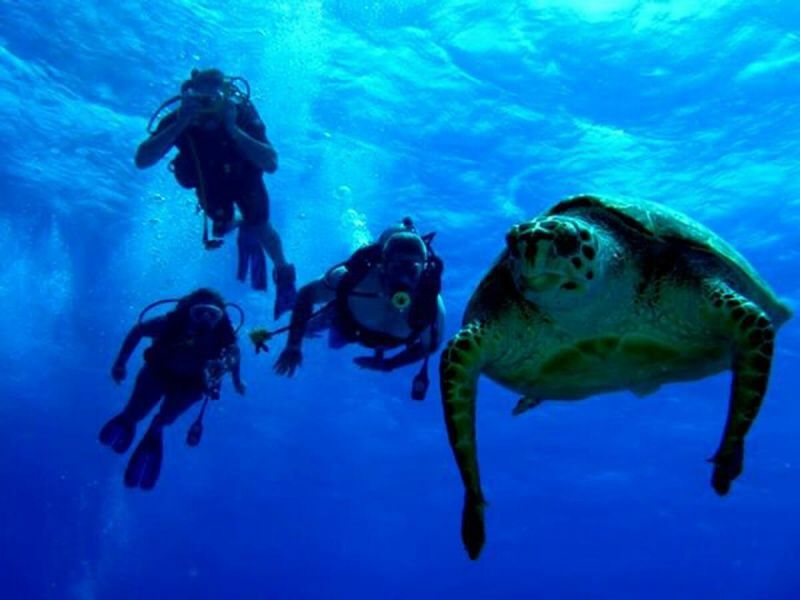 It is a refuge for the protection of the marine life of the west coast of the island of Cozumel. Chakanaab Park took its name from the Chankanaab lagoon which means “Little Sea” It is a world-famous aquarium and natural ecosystems. In Chankanaab Park you can explore all the natural areas as a botanical garden, archaeological replicas, natural aviary, dolphins and sea lions, Mayan house, and all the services you require. It is considered as part of the barrier reef called “Great Belt Western Atlantic Reef” (also known as “Great Mayan Reef” and belongs to “MBRS”). The island of Cozumel is mostly surrounded by coral reefs, however the park area is in the southern half of the island, south of the international springs and surrounding west coast, south and a portion the east coast. It is a natural resource of great importance for the regional economy as it provides recreational activities, conservation, development, education, dissemination and monitoring. HOW TO GET TO COZUMEL? By air: The International Airport of Cozumel is located at 65 Avenue and Airport Boulevard, less than 5 minutes from the downtown areaAt the airport there are also car rentals and taxi services. International Routes: Houston, New York, Atlanta, Charlotte, Denver, Dallas, Chicago and shuttle service to Cancun. AIR BRIDGE: 15 minutes flight with Mayair. It has 6 round trips per day on comfortable aircraft with capacity for 36 passengers. This company flies every two hours evens to Cancun and every two odds to Cozumel. 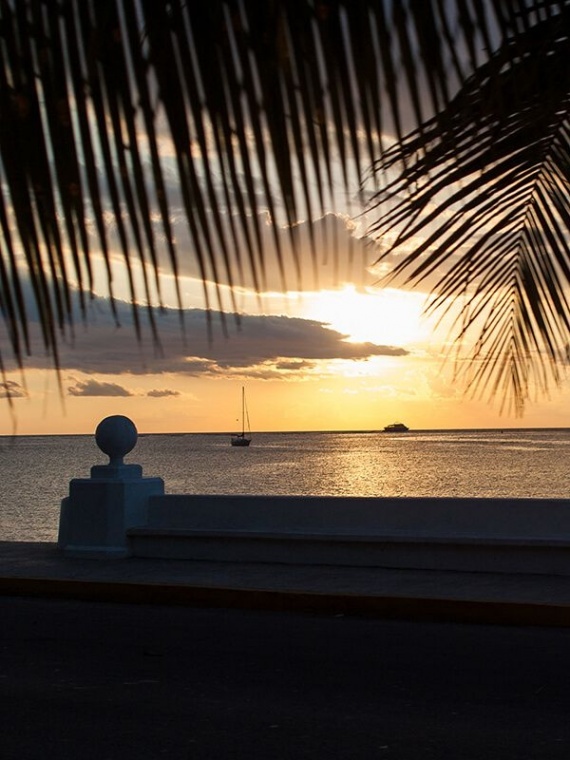 Your itinerary starts at 7:15 am to Cancun and Cozumel until 9:25 pm from Cancun to Cozumel. For more information visit www.mayair.com.mx. 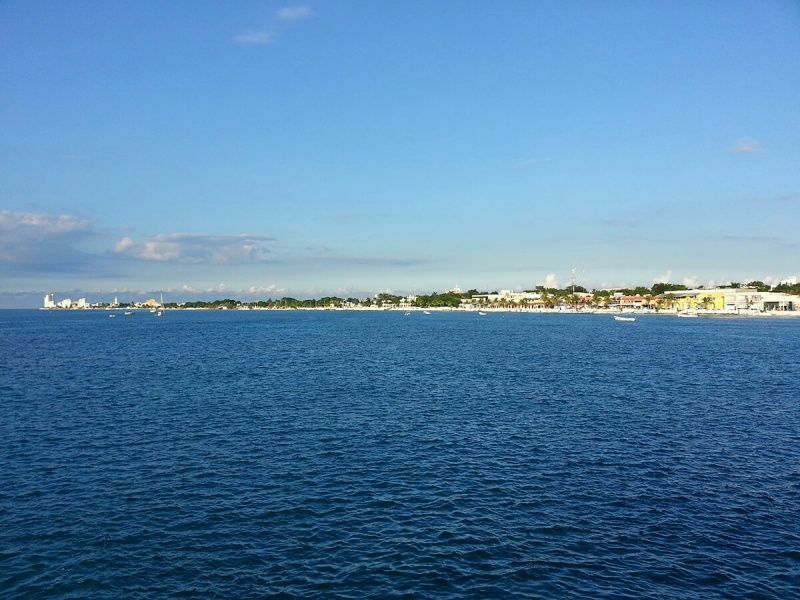 By Sea: Through a new fleet of fast boats, with regular schedules and convenient service you will be in Cozumel in 30 minutes leaving the dock in Playa del Carmen. First trip starts at 6:00 am from Cozumel and the last is at 10:00 in Playa del Carmen. Tickets can be purchased just before the ship’s departure or before. The boats are big enough for passenger demand, so there is no need to worry about availability of space. The approximate cost for a round trip Playa del Carmen, Cozumel, Playa del Carmen is 16 USD per person. During the trip are broadcast advertising screens in Cozumel and Playa del Carmen that contain useful information from both places, and in most ships you can travel in the open area to enjoy the scenery. As a Caribbean island, its cuisine, is heavily influenced by seafood. Fish and shellfish are undoubtedly an important part of the local cuisine. 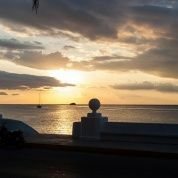 The specialties of the island are based on the preparation of dishes based on fish and seafood such as grouper, snapper, lobster and conch, seasoned with various spices and chiles. This is part of the cuisine of Quintana Roo, in addition to the succulent culinary samples of Yucatan, as papadzules, chocolomo and roasted pig. In Cozumel you will also find a wide variety of restaurants specialized in other types of cuisine, like French, Italian, Asian, Mediterranean and of course, Mexican. You can find beautiful jewelry made with the finest silver, gold, onyx and gemstones. You can take back home leather goods and accessories for your kitchen you will not find anywhere else. The municipal market is 5 blocks from the Malecon, and here you will find places that offer everything. From crafts to fine fragances at a great price. The average temperature is 27 degrees. 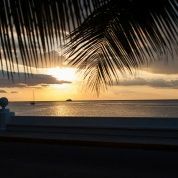 In the warm summers between 27 and 32 degrees, in winter and cool about 21 degrees, so in Cozumel every day is auspicious days to go to the beach and the water stays at a temperature between 25 and 27 degrees. In the summer presents the humid climate with abundant rainfall. Cozumel jungle nature will allow all kinds of outdoor activities, from hiking or biking its mountains and trails to exploring archaeological sites and sandy beaches, while enjoying a romantic ride. Chankanaab Natural Park: Here you can live the experience of swimming with dolphins, a therapeutic activity for combating stress. Parque Punta Sur Ecological Reserve: Here you can climb the lighthouse of Punta Celarain to have an excellent view of the sea and mangroves that form the lagoon. 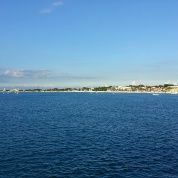 It also has scenic bus transportation and environmental interpretation tour in a catamaran boat. Palancar: Located in the National Marine Reefs Park of Cozumel 13 miles south of San Miguel and 2 km from the coast. 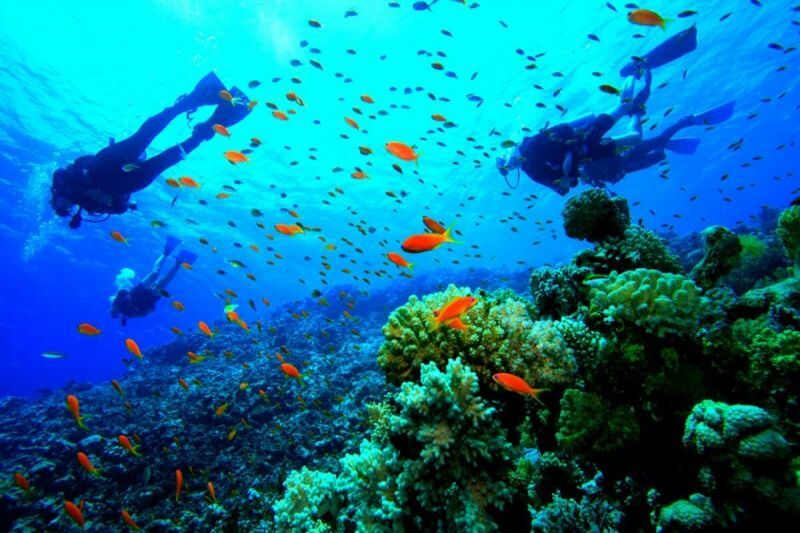 One of the most popular reefs of the island, with depths ranging from 6 m. to 37 m. where you can dive. You can practice cave diving, as it has spectacular caves and steep chasms that challenge the imagination and strength. 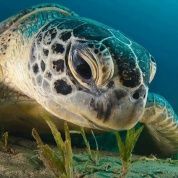 San Francisco: Located in the National Marine Reefs Park of Cozumel, in the southern part of the island, 11 km from downtown and approximately 2 km from the coast. The first part of this place is a vertical wall encrusted with coral and large yellow tube sponges that hang over the edge. 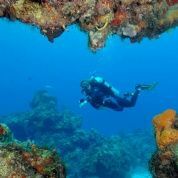 The depth recommended for reaching the best view is from the 18 m. to 37 m.
Santa Rosa: Located in the National Marine Reefs Park of Cozumel, 9 km from San Miguel and approximately 2 km from the coast. 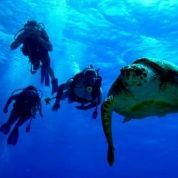 It has depth levels ranging from 15 m to 24 m, where the average decline in diving, as the reef drops below a large cliff. Paradise Under: Located in the National Marine Reef Park of Cozumel, 3 km from San Miguel and approximately 2 km from the coast. This begins coral reef lagoon off the creek to the north and runs parallel to the coast almost to the wharf of the Maritime Terminal of the Southeast. It offers a depth of 20 to 30 m wide and 1.6 km long with a height not exceeding 2 m where it is common to all the family parrot fish. Paradise North: Located in the National Marine Reef Park of Cozumel, 2 km from San Miguel and approximately 2 km from the coast. This place offers a maximum depth of 14 m and is ideal for beginners. 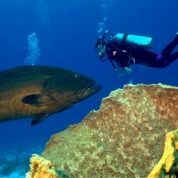 Here you will find reefs elongated parallel to the coast, coral, sponges up to 2 m in diameter and bright blue fish. Paradise South: Located in the National Marine Reef Park of Cozumel, just 5 km from San Miguel and approximately 2 km from the coast. This consists of two coral reefs, approximately 500 m long each, inhabited by a large population of angelfish and chandeliers, huge holothurians or sea cucumbers. It offers a maximum depth of 14 m, ideal for beginners. Balls of Chankanaab. Located in the National Marine Reef Park of Cozumel, approximately 9 miles from downtown and 2 km from the coast. This reef, over 14 m deep, is named for the numerous seamounts spherical coral that live there. Here you will find large boulders from 4 to 10 m tall, with abundant fish-filled cavities where live lobsters, moray eels and manta rays. Maximum depth of 18 to 21 m.
Chankanaab Natural Park. Here you will find many coral reefs and an underwater statue of the Virgin. 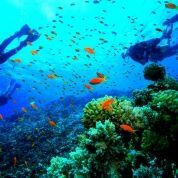 As part of its services the park offers scuba lessons with certified instructors, and the chance to snorkel, allowing you to explore, a shallow underwater gardens. Open daily from 7:00 to 17:00. Kayaking Cozumel: It has a select group of perfect beaches for kayaking. To perform this activity is recommended to rent the equipment needed directly with suppliers of these services. 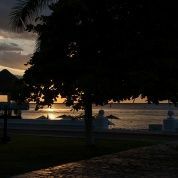 Playa San Francisco: Located in the southern coastal town of San Miguel. It is one of the most popular beaches and the ideal setting to practice the kayak, for its calm waves. 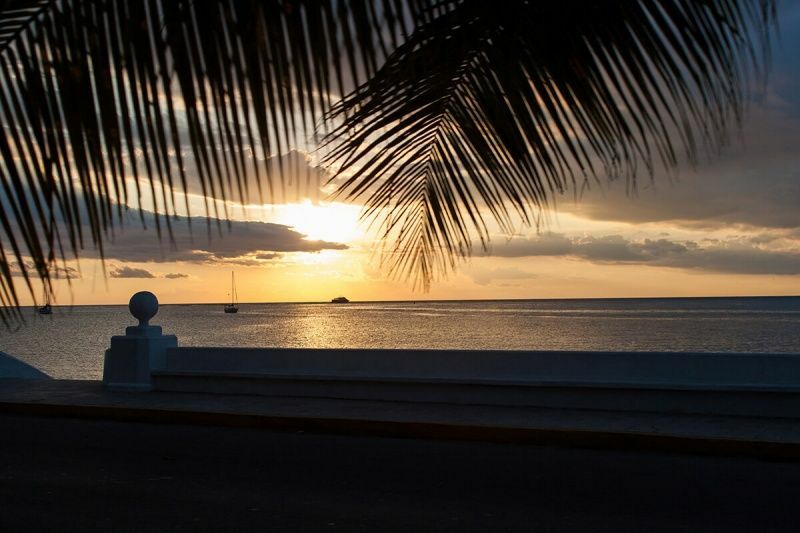 Playa de San Juan: Located in the hotel zone of Cozumel. On this beach you can tour by kayak through shallow waters and its calm waves. Parque Punta Sur Ecological Reserve: It has a lagoon surrounded by lush vegetation where you can kayaking, due to the calm waters and gentle waves. Among the most important holidays in Cozumel is the Carnival that takes place in February and has become a tradition since the last century. It is deeply rooted in the community and everyone involves, to make from streets and squares, fun places. The "Fiesta de la Catedral" or "Holy Cross" is another outstanding celebration that takes place the first days of May in the town of El Cedral. During this festival is held an agricultural fair, which converge many inhabitants of the peninsula of Yucatan, and which also run a series of regional dances such as "La Cabeza del Cochino" and "Las Cintas". Other important celebrations in Cozumel are the "Feast of St. Peter and St. Paul", held in June and is celebrated with many dances and the "Fiesta de San Miguel", held in honor of the patron saint in town in September. Cozumel is listed, for decades, as an ideal site for diving thanks to its great marine biodiversity, ranging from countless banks of angelfish and parrot fish, sponges and stingrays to inhabit the Great Maya Reef, considered the second largest in the world, stretching from Isla Mujeres to Costa Rica. In Cozumel you will find world class professional golf courses, surrounded by a singular nature. In all of them you will find comfort, service and exclusivity from the Golf World. Cozumel has a port with an optimal infrastructure and first class services to the nautical world. Not only cruise ships arriving from South America, North America and Europe, but also sports and sailing yachts follow routes previously established by the Caribbean coast, as well as private boats departing offshore in search of adventure. All lovers of water sports and diving. Nature fans and marine corals and reefs lovers, as well as people admiring turquoise waters and natural beauties.